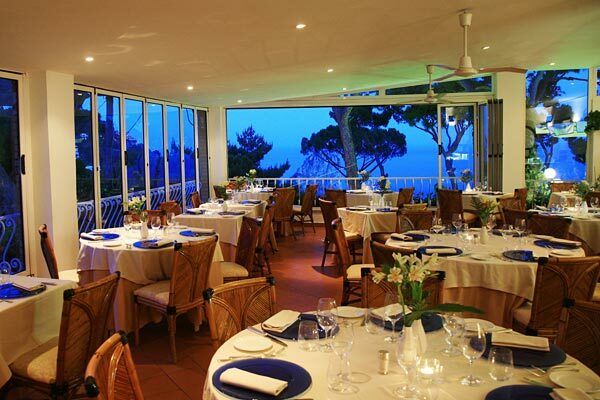 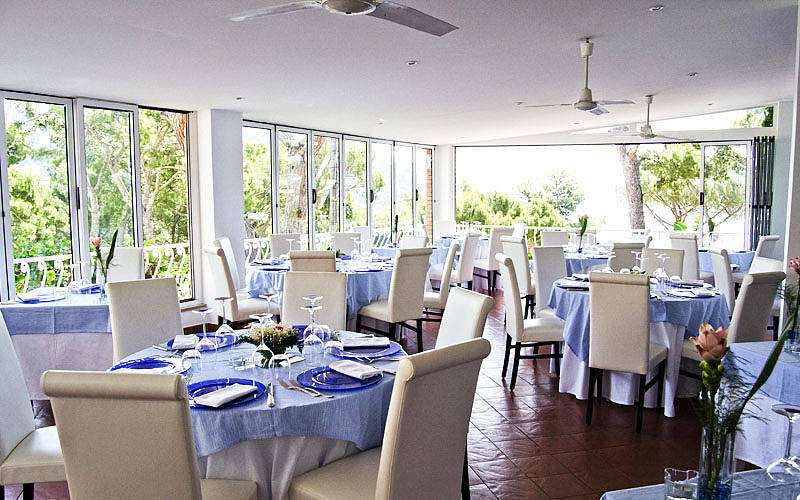 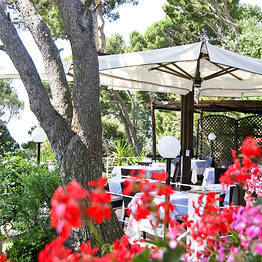 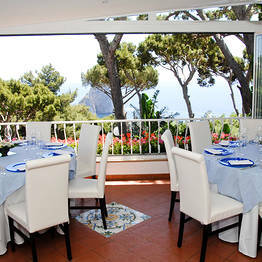 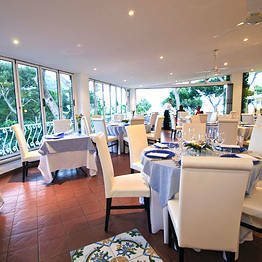 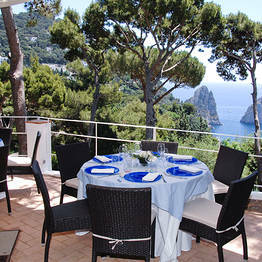 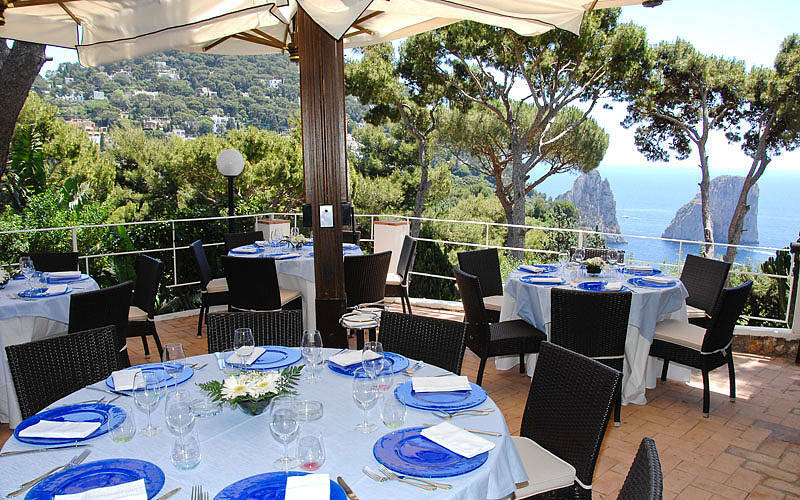 Restaurant Il Geranio on Capri: Fine food and a view ... of the Faraglioni! 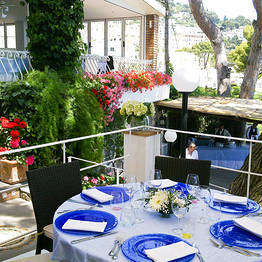 Il Geranio - Fine food and a view ... of the Faraglioni! 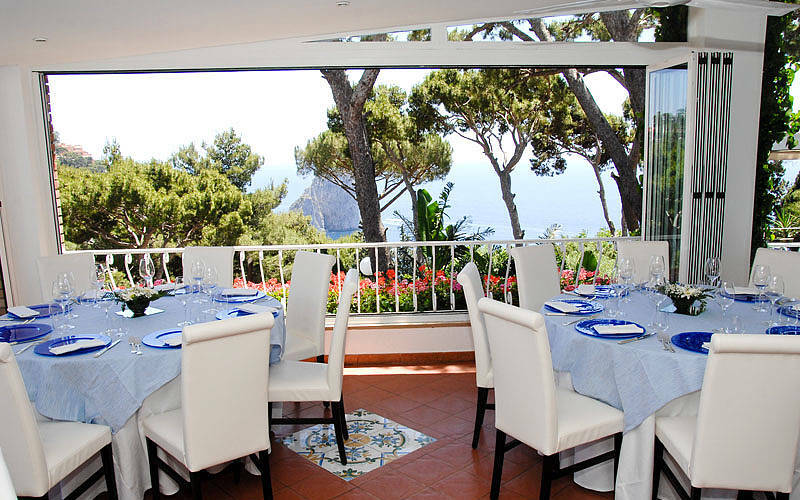 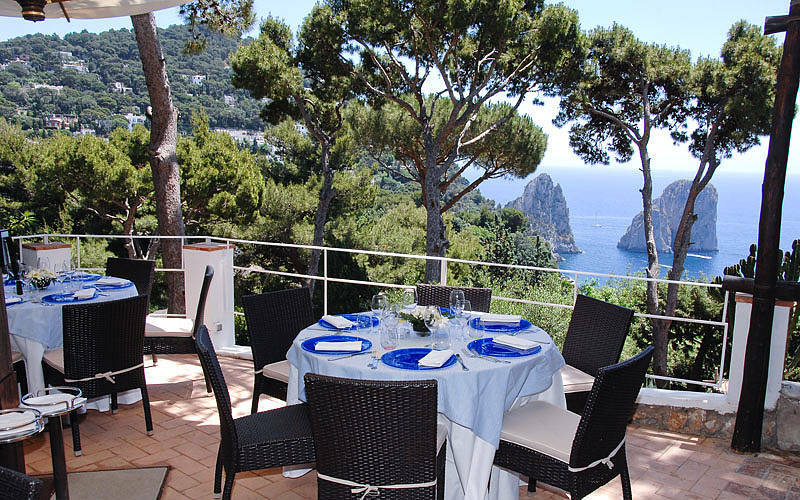 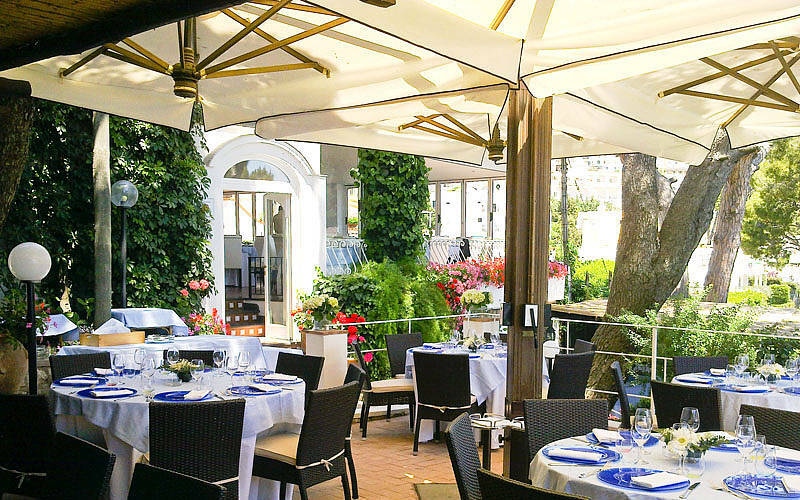 On the tree-lined avenue leading to the Gardens of Augustus and the spectacular Via Krupp, Capri's Restaurant Il Geranio boasts an unbeatable location ...and food to match! 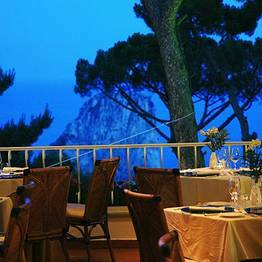 There are many restaurants on the island of Capri but few as romantic as the Geranio where, on summer evenings, guests dine by candlelight on the panoramic terrace overlooking the Faraglioni. 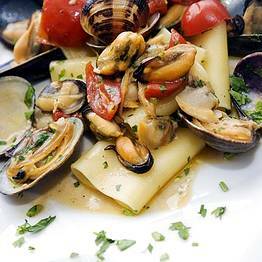 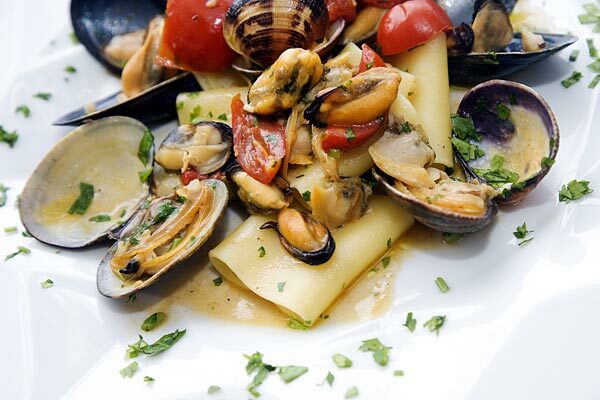 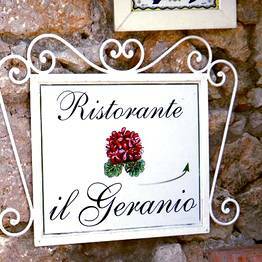 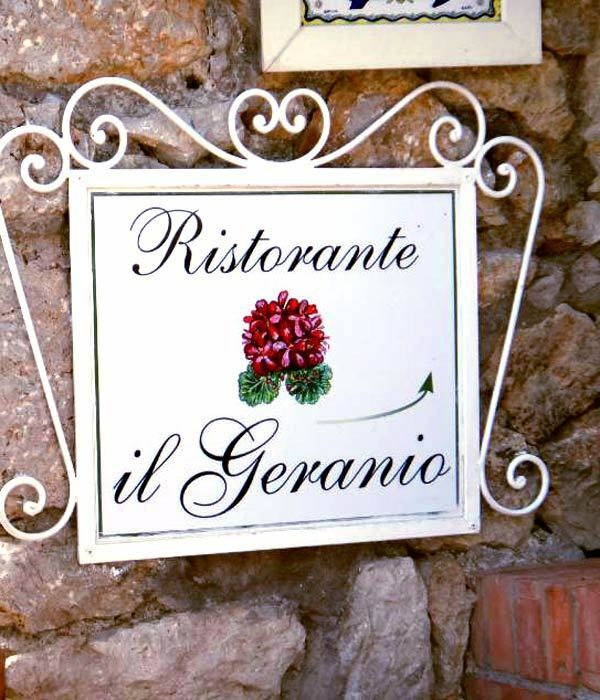 Geranio's seasonal menus feature excellent Neapolitan and Mediterranean cuisine, made using the area's abundant fish, seafood and sun-ripened fruit and vegetables. 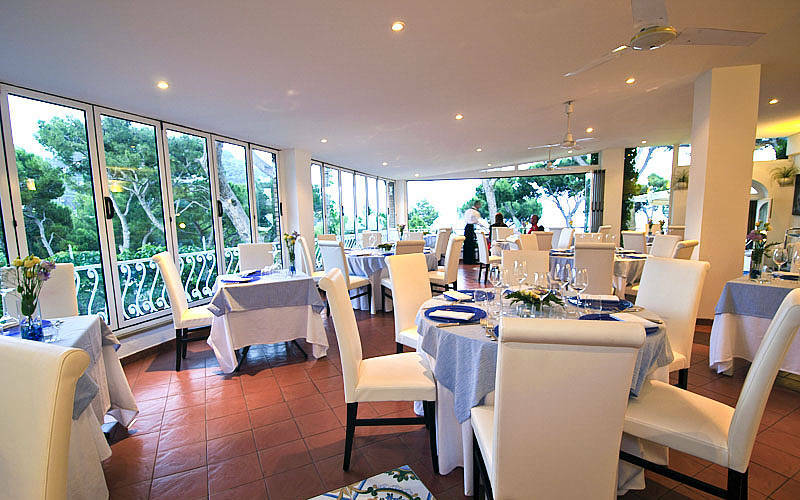 The restaurant's cellars are stocked with an excellent selection of the region's wines. 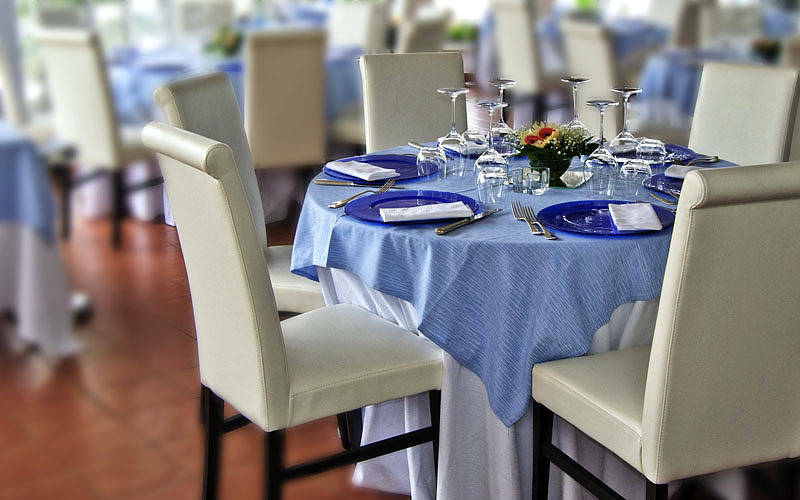 The perfect venue in which to celebrate your wedding day in style, Geranio's events team will be pleased to organize anything from a champagne toast to a seated dinner with live musical entertainment. 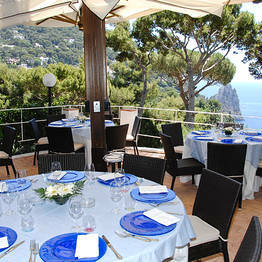 "Amazing location with a stunning spot over the Faraglioni. 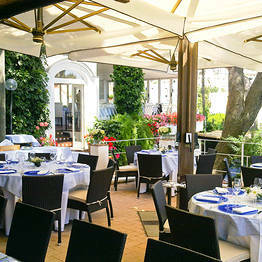 Besides the elegant place, we really enjoyed our meal: fresh ingredients and good presentation of dishes. 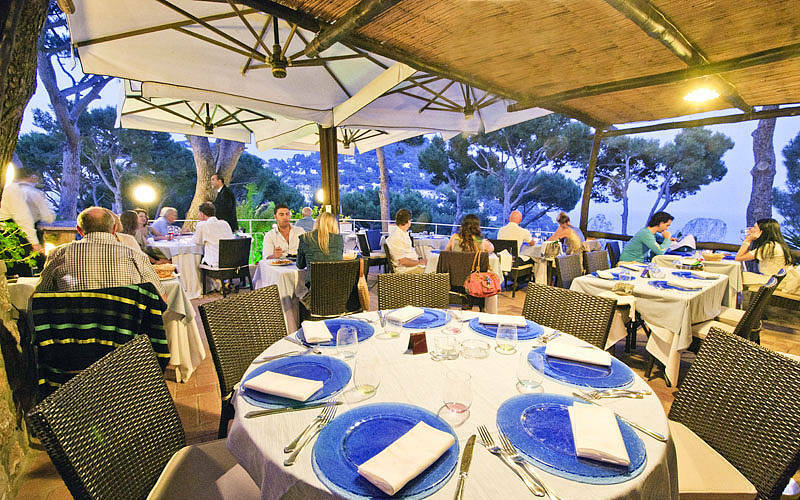 Highly recommended! " 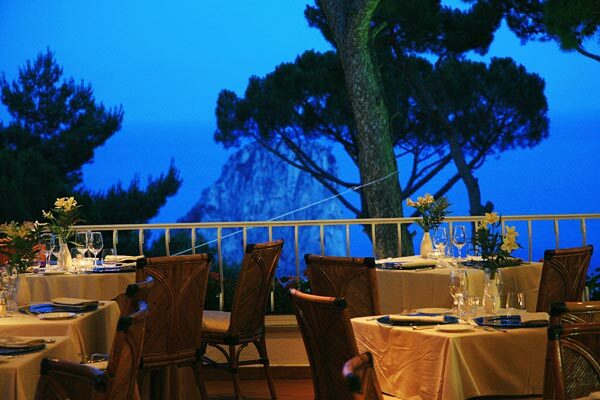 "A must if you are in Capri. 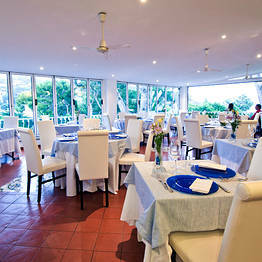 The food is amazing and the staff outstanding. 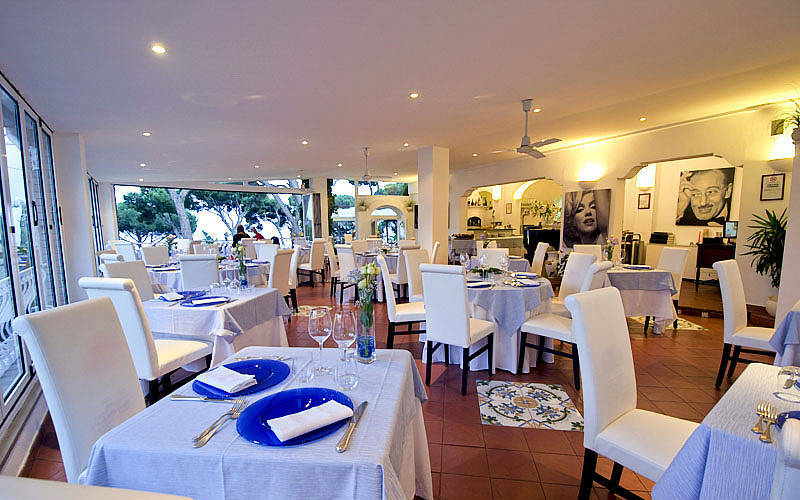 During my stay in Capri I have eaten here several times and it does not disappoint. 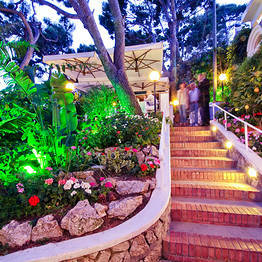 Bravo"
"Amazing from the moment we arrived. 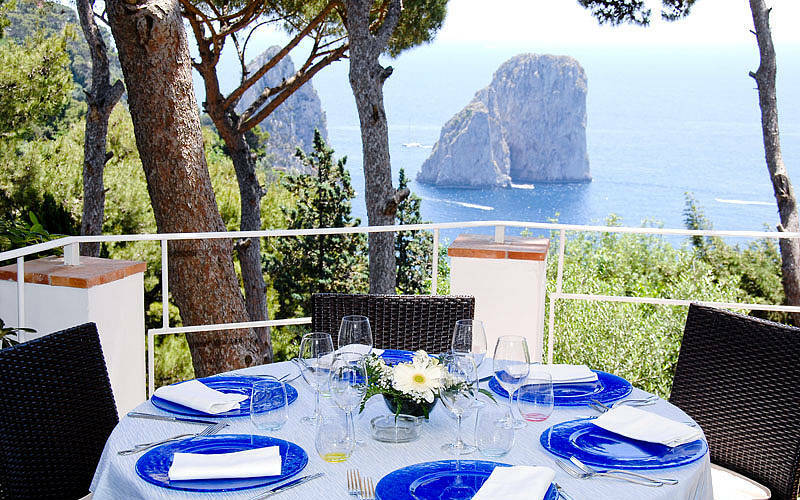 Gorgeous setting. 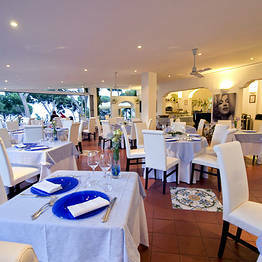 The waiters looked after us without being invasive. 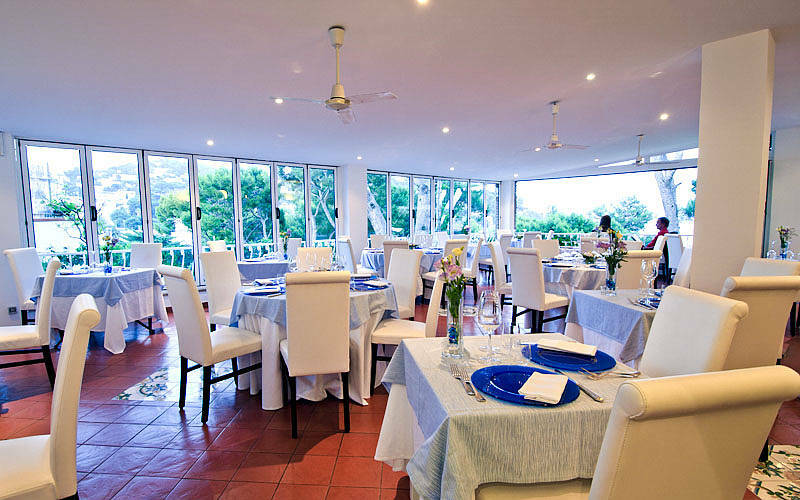 We tasted the best fish we had on our trip, definitely caught that day. 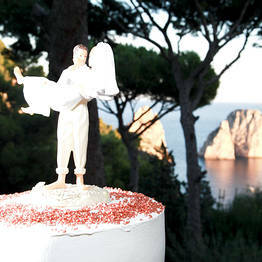 Go for it!" 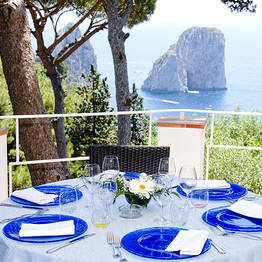 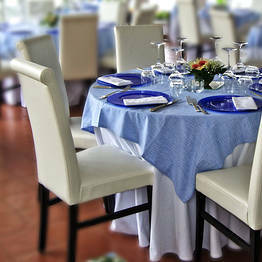 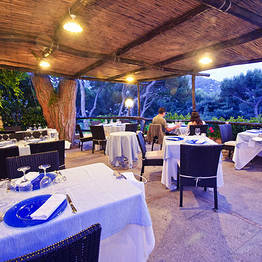 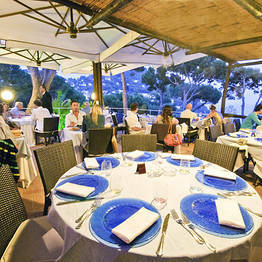 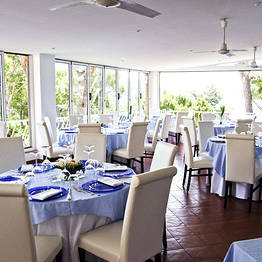 "The view, the atmosphere, the food, the wonderful staff, all made the night before our leaving Capri just more perfect. 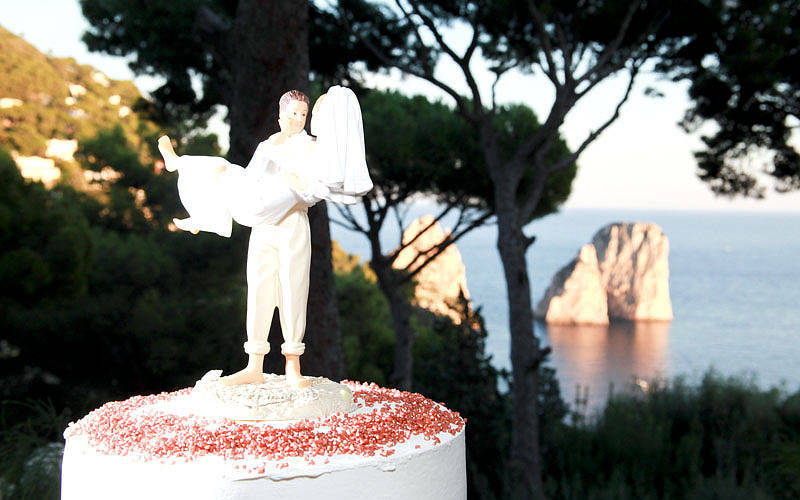 Unforgettable! " 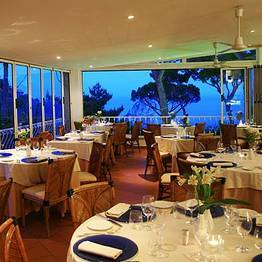 "Perfection every time we go. 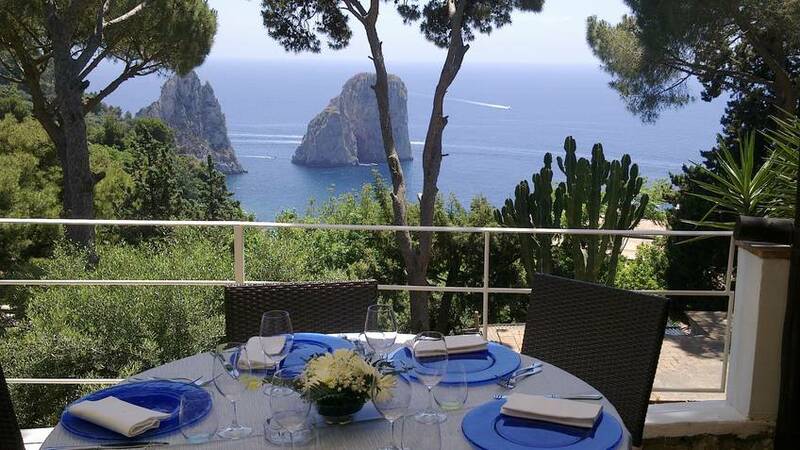 thank you"
A beautiful view and fabulous food. 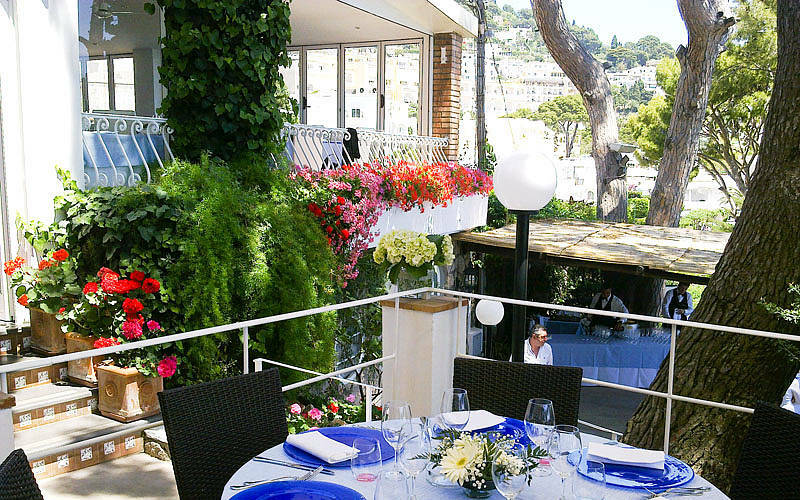 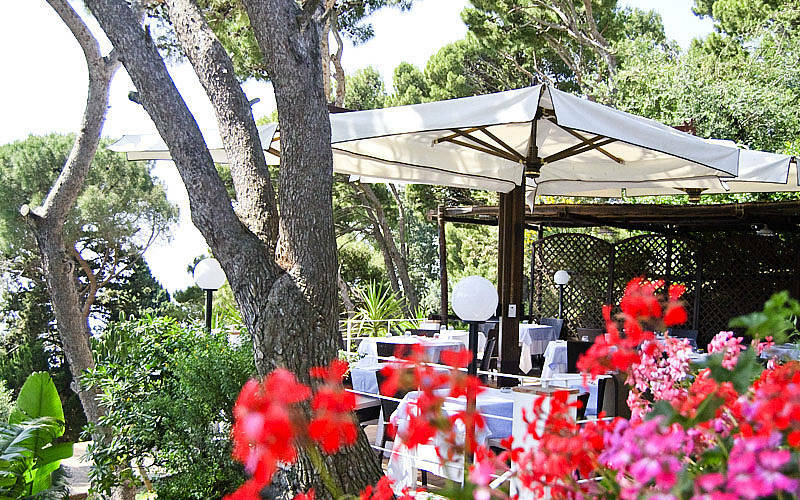 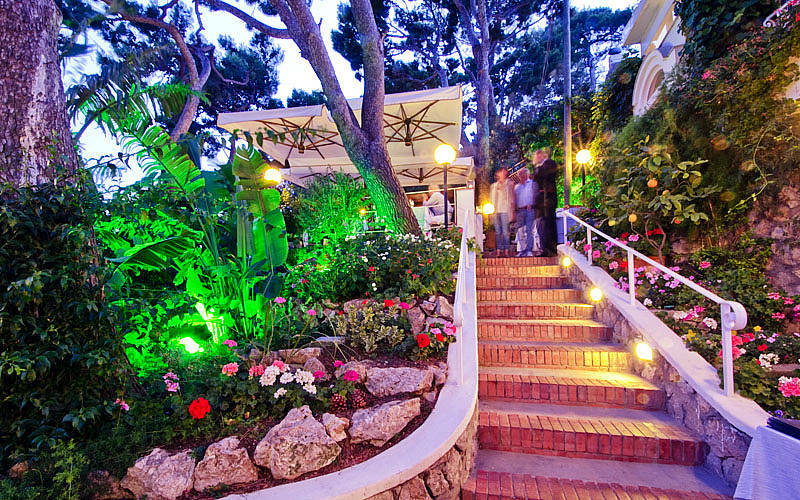 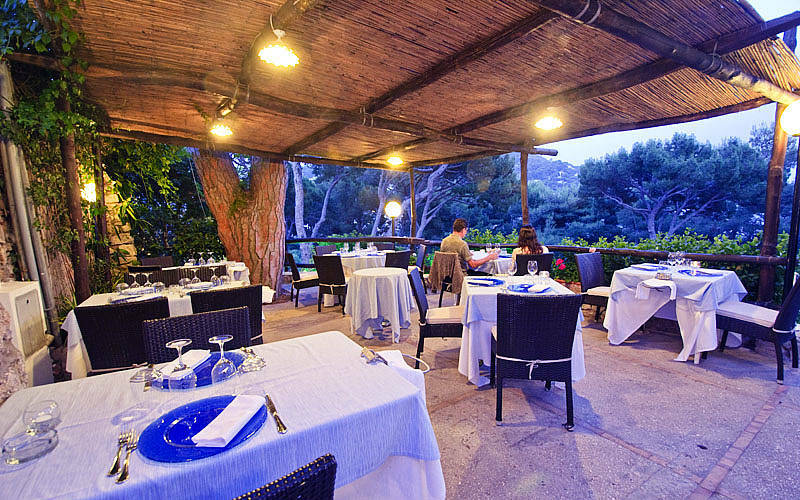 The Geranio Restaurant is located on the tree-lined path leading to the Gardens of Augustus and within easy walking distance of the Piazzetta and the center of Capri.